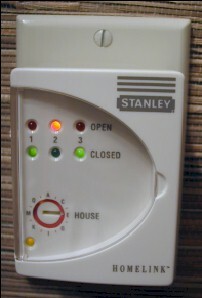 The Stanley Status Indicator Module (shown below) can be controlled by HomeVision and HomeVision-Pro using X-10 "Extended Codes". HomeVision owner Rene Braeckman has written a thorough article describing how to use these with HomeVision. You can download his article in Microsoft Word or PDF format. HomeVision® is a registered trademark of Custom Solutions, Inc.